Here's the Strumpet spread at MoCCA, with a side of Comix Reader and ink+PAPER. Our new bag is modelled by Editrix Ellen. 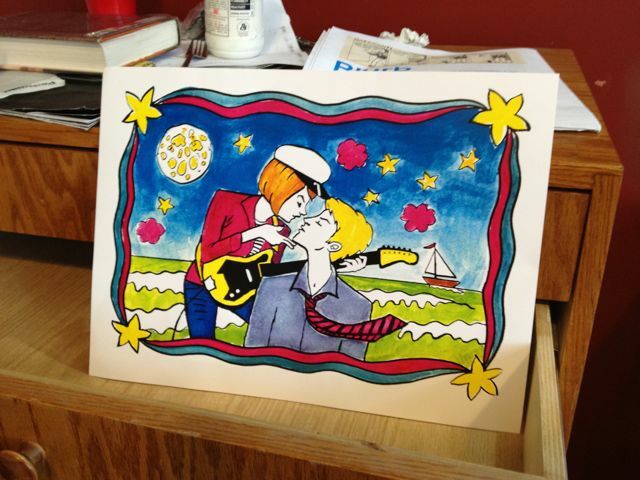 Many thanks to Paper Rocket for sharing! Well hello Strumpets! We've been very busy promoting Issue 2 at two key US conventions: New York's MoCCA Arts Fest and Portland, OR's Stumptown Comics Fest. This year's MoCCA was a nice convention, a bit more polished and professional now that it's been taken over by Society of Illustrators. The new Strumpet met with a great reception. 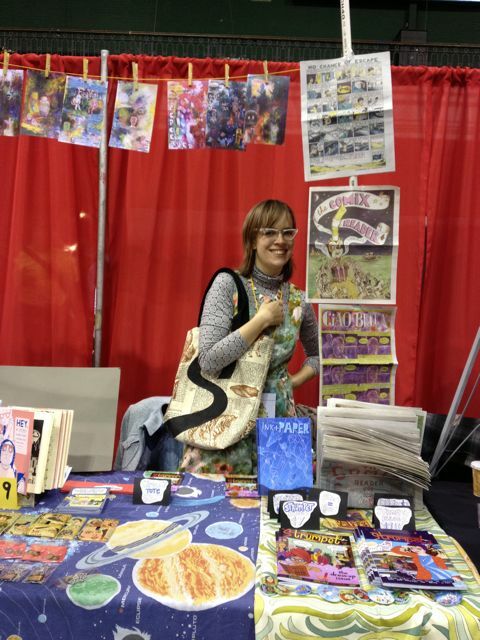 We had a chummy time with the folks at Paper Rocket Minicomics, publishers of handmade comics like the re-issue of Ariel Bordeaux's Deep Girl. To treat ourselves after a hard weekend of selling and chatting, we got our little hands on a print by up-and-coming NYC cartoonist Dre Grigoropol. Dre did a great interview with Editrix Ellen Lindner for the BUST blog, and the admiration is 100% mutual! We took a break in our other home country, the UK, and then we were off again, in entirely the other direction! Destination: Portland, Oregon. Portlandia, here we come! Nice view, eh? 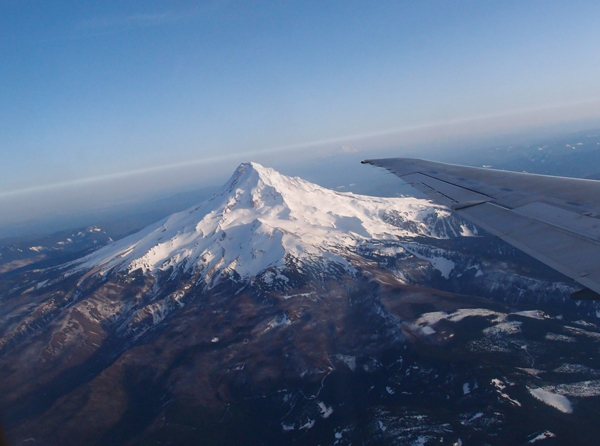 Mount Hood from the air. 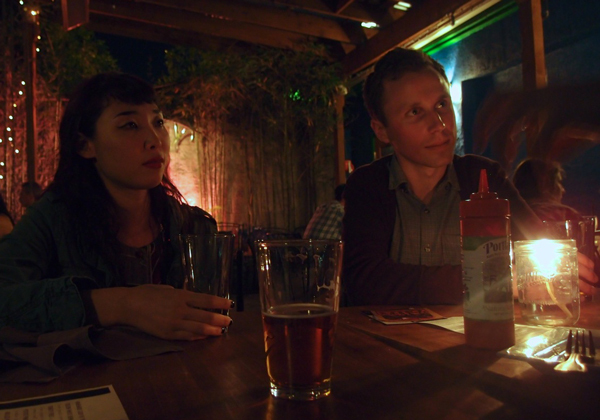 Portland is one of the Strumpet's most favorite cities, and it's not just because we have a thing for Fred Armisen. 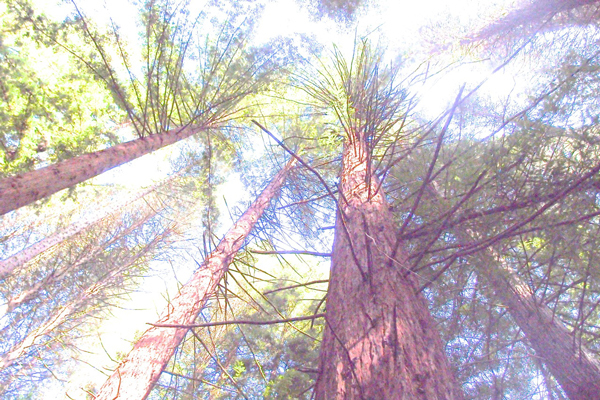 Portland is LOUSY with cartoonists, and the natural environment is just fabulous. Like Bristol in the UK, this is a city where you can access top-notch culture and food with ease and then get into the countryside in a matter of minutes. Fab photograph by Stephen Betts. Strumpets Ellen Lindner and Robin Ha prepare for the con in the springtime sun. ...and at the TeaZone, a fantastic bubble tea and cocktail bar in the city's swish Pearl District. 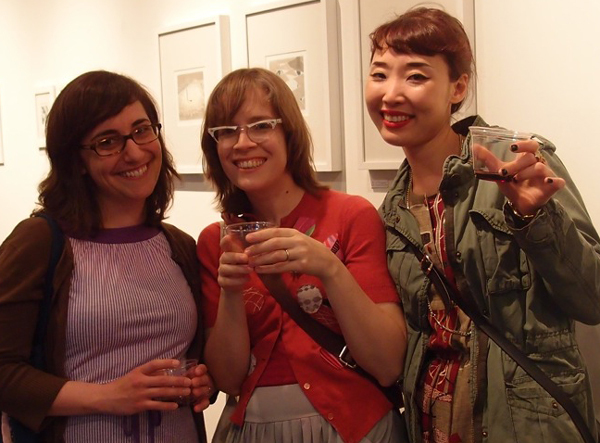 Strumpets Lisa Rosalie Eisenberg, Ellen Lindner and Robin Ha at One Grand Gallery. Next we hit One Grand Gallery to meet up with Portland Strumpet Lisa Rosalie Eisenberg for an opening of new prints and process art by British artist Jon McNaught, sponsored by Portland zine paradise Reading Frenzy. Jon's books, published by London-based NoBrow, are not to be missed! 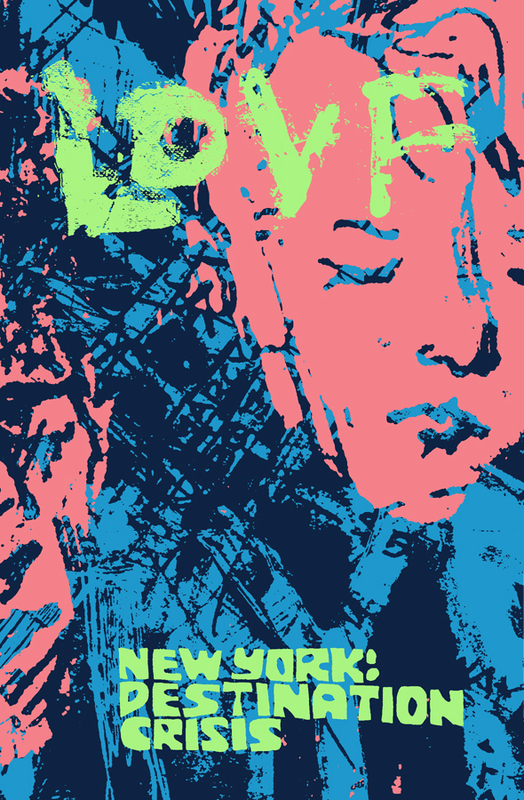 And we can't say enough nice things about his lithographs and silkscreens. Here Jon signs his newest, Dockwood. Robin and Jon are currently listening to a story by Ellen informally entitled, "Was the apartment haunted because of a double homicide or was the decor just creepy??!!" Afterwards we had a pretty intense discussion over some Portland microbrews and delightfully greasy grilled cheese. Hey, it's hard work psyching oneself up for optimal sales! 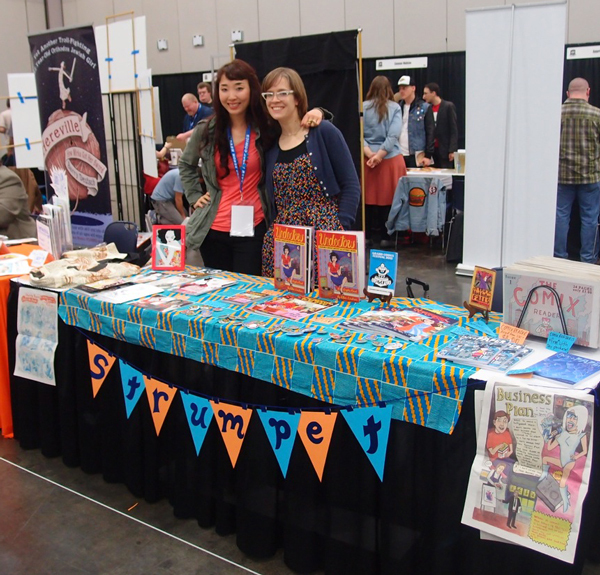 Stumptown is Strumptown: Robin and Ellen behind the table. Perhaps because we came from such a distance, the organizers gave us a whole table upon which to spread our wares. So cool! Brooklyn Strumpet Robin Ha had two new minicomics - and postcards! If you didn't score at the show you can grab some from her new online store. But it's not just about sales. When Team Strumpet is on the left coast, it's a great opportunity to touch base with faraway friends. 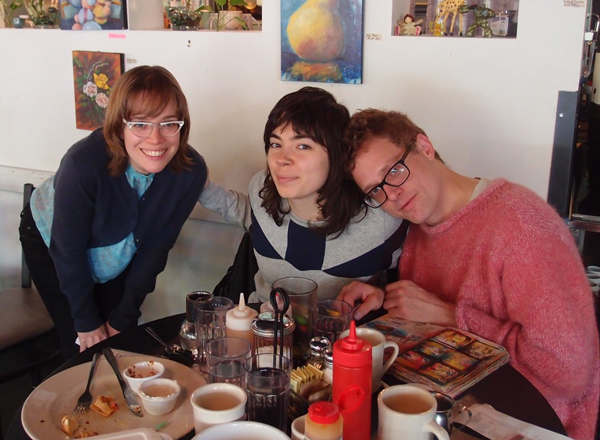 Ellen had a blast brunching with comix stars (and friends of the Hypothetical Island) Hazel Newlevant and Jesse Reklaw, just two of the amazing inkstars who call Portland home. 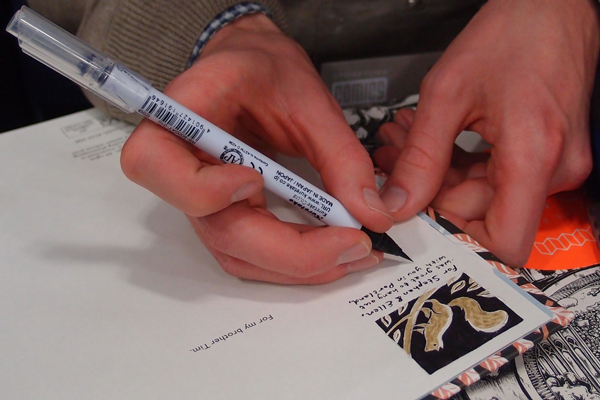 This brings us full circle, as Jesse is one of the fine artists published by our MoCCA tablemates Paper Rocket! His LOVF: Destination Crisis - an account of spending time in New York City while undergoing a manic episode - is unmissable. Truly, Portland is Comixtown. If you ever have a chance to visit - especially for Stumptown! - we encourage you to do so. Next up: we share some of our Portland purchases.